We're not just a preschool, but a community. Where children learn through play, and parents are part of the journey. We are a cooperative preschool in Sammamish for children ages 3 to 6. As a co-op, parents work side-by-side with teachers. We follow a play-based early-learning program that prepares children, not only for academic success, but lifelong success. We are the only preschool on the plateau with an integrated parent education program as part of our offering through Bellevue College. Registration for the 2019/2020 school year is now open! We are also accepting enrollment in our Arts & Sciences Lab and still have openings in our classes for the current 2018/2019 school year. Curious About Co-op? Join Us at Our Upcoming Open House! Why choose a Co-op Preschool for your child? Our cooperative preschool is a non-profit organization and a program of the Bellevue College Parent Education Program. We offer a play-based early-learning program, where children learn, problem-solve, develop social skills, and explore their world through play. Research shows, and we agree: a play-based program is truly the most “academic” choice a parent can make. Parent involvement in schools is one of the most powerful predictors of high student achievement and healthy development. At Pine Lake Co-op, parents are involved with every aspect of their children's education, from working in the classroom to helping run the preschool. Also, as part of our program through Bellevue College, experts in the field of early-childhood development offer parents vital tools for raising young kids. Since 1973, Pine Lake Co-op Preschool has promoted a philosophy of creative discovery and social development to prepare children for advanced learning. 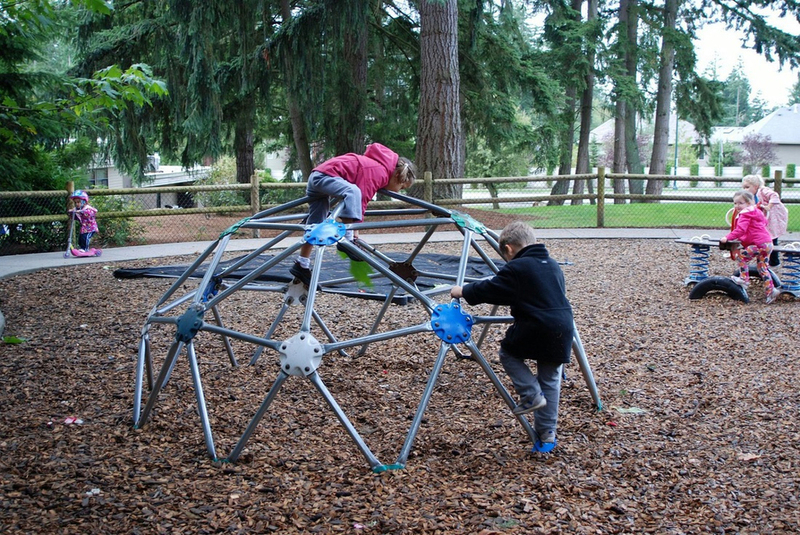 Of the many preschools in Sammamish, we are the only school-wide co-op. Join our community of committed parents, experienced educators and engaged children. Register now for our week long Summer Camps! Registration is will open February 6, 2019 for the 2019/2020 school year! Registration for the Arts & Sciences Enrichment Lab is open! You do not need to be enrolled in the preschool to enroll in the lab.